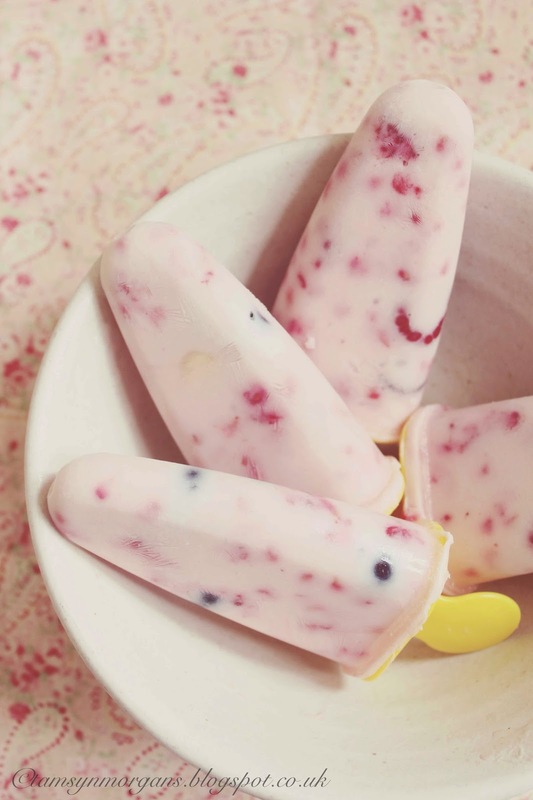 The children and I made these lollies a few weeks ago, and they were actually rather nice, so I thought I’d share our very easy made up recipe with you. 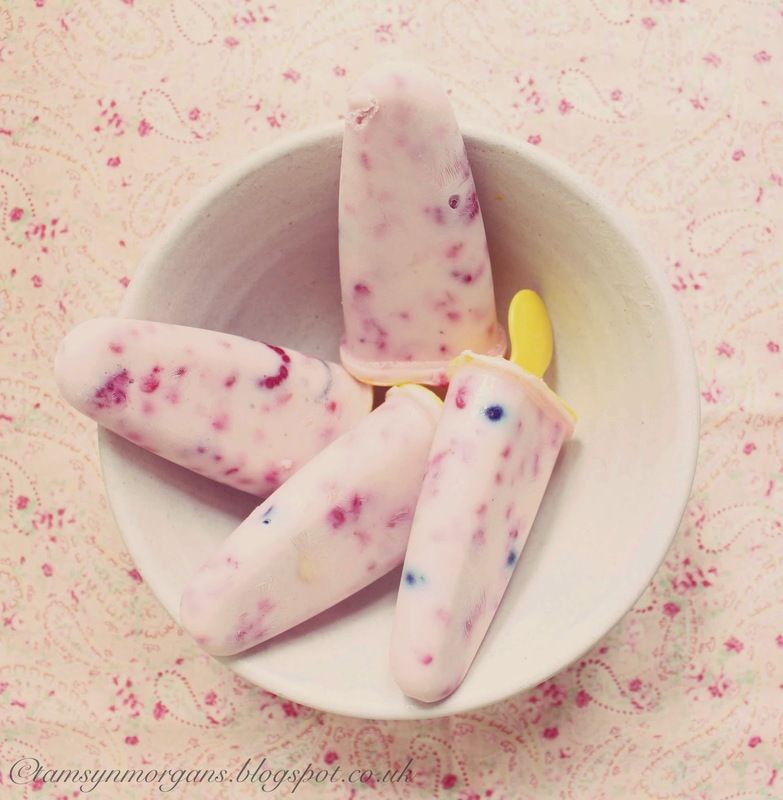 I’ve made yoghurt based lollies before in an effort to make a ‘healthy’ lolly, and we ended up throwing many away because they just didn’t taste as good as they looked. Take one tub of natural yoghurt, and empty it into a bowl. Add lots of honey, stir, and taste – we put lots in. We then added raspberries and blueberries, and crushed them into the yoghurt with a wooden spoon. Whizzed up banana might be lovely too. Only add strawberries if they’re really ripe and sweet, otherwise they can taste sour once frozen. Pour into lolly moulds and freeze. Lovely on a hot afternoon and fab as an after school snack!